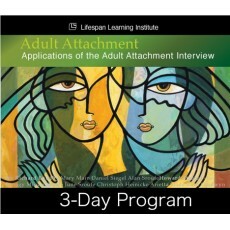 This program is organized around the power of the Adult Attachment Interview (AAI), and its roots that spring from psychodynamic tradition, countless hours of attachment observation and research. Drawing from the rich research findings of three longitudinal studies, some of the conference's presenters will illuminate clinical applications derived from these findings.This conference brings together many of the leading figures in attachment research and theory. Topics range from mentalization-based treatment and the therapist's stance; parental frightened-frightening behavior and it's affect on the offspring; attachment theory's influence on classification and etiology of psychopathology; links between disorganized, unresolved and cannot classify states of mind, and adult psychopathology. We will explore new ways to understand psychopathology and treatment through the lens of attachment research, and in particular, attachment and its influence on generational transmission. 1. Distinguish activities of the brain's right and left hemisphere functions. 2. Describe the paradigm shift in the world of psychological sciences. 3. Explain the emotional significance and processing of appraisal. 5. Describe Mary Main's classic Strange Situation and its significance. 6. Distinguish 3 categories of the AAI.